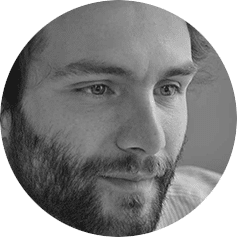 Sebastiano is a senior consulting engineer and urban data specialist at MIC Mobility in Chain, graduated in environmental engineering in Bologna (Italy) and MSc Industrial Ecology from the Norwegian University of Science and Technology NTNU. He has contributed to several projects during the last seven years at MIC Mobility in Chain, developing large professional experience in the transport planning discipline, working on projects ranging from mixed-use complex developments, transportation infrastructure reconfiguration, regional and urban regeneration master plans. Notable projects are The Moscow Pedestrian and Bike Masterplan, Guadalajara Ciudad Creativa Digital, Plano Director General Metropolitano de Luanda and VDNKh Park Mobility Masterplan. Started at MIC as a transport modeler, he focuses now on the use of geographic data and network modeling to understand and visualize the complex mechanisms of mobility and to improve pedestrian, bicycle and transit networks. His main research interest is the connection between the urban context and transportation networks, the data intensive analysis of mobility patterns and flows and their cartographic representation. Openstreetmap lover and contributor, he is also devoted to the bike advocacy, both in Milano and Barcelona.